The first to hit the streets is the family of AAP’s official candidate Harmohan Dhawan. His 74-year-old wife Satinder Dhawan and son Bikram Dhawan have already started going from door to door in the city to seek support for him. Age, says Satinder, is no deterrent when it comes to knocking on strangers’ doors for votes. “I walk around 7 to 8 kilometres every day to meet people and seek their support. I get my daily dose of energy from the overwhelming response of residents who say they will support Aam Aadmi Party now,” beams Satinder, whose day begins at 11 in the morning and finishes after sundown with a short break for lunch around 2.30 pm. 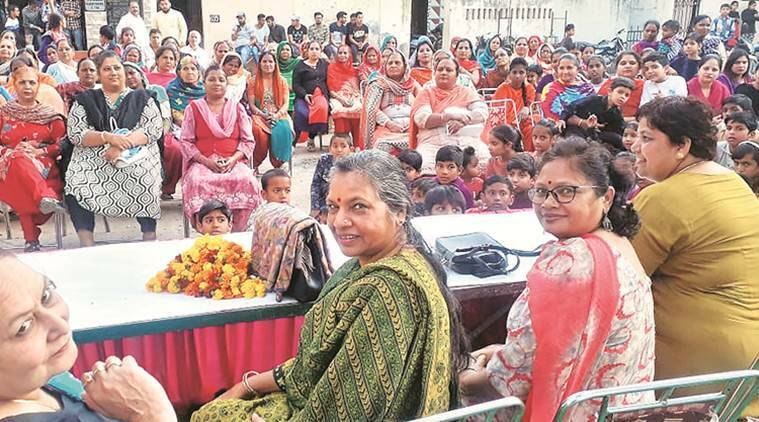 These days, this former councillor is joined by her son Bikram Dhawan, who is into IT business, but is taking out time to campaign for his dad. The mother-son duo are the chief strategists for Dhawan, chalking out the next day’s plan of action every night. “Our work doesn’t end at 8 pm. After dinner, we all sit down and chalk out the areas we have to cover the next day. For instance, mom has covered villages and colonies, and I am at the moment covering the markets,” explains Bikram. Madhu doesn’t mince words while slamming the national BJP leadership as well. “They have just been making false promises,” she frowns. 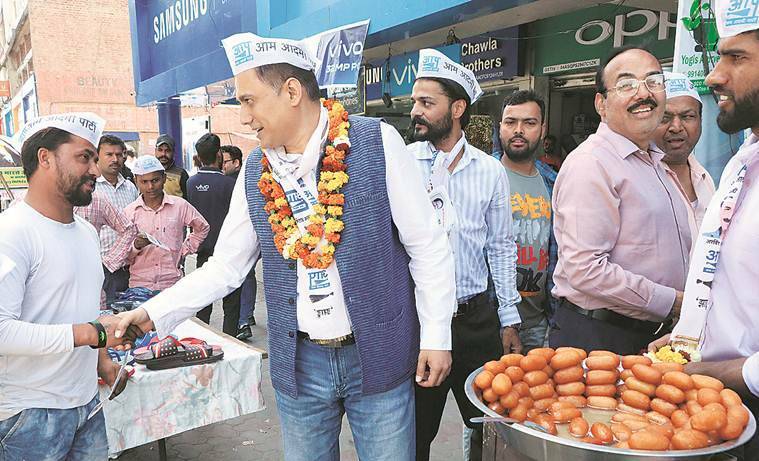 Like Bansal, Avinash Singh Sharma, a lawyer who is contesting from his own Chandigarh Ki Awaaz party, is leaning on his 44-year-old wife Simple Sharma and 18-year-old son Aaditya to campaign for him during the day when he is away to court.